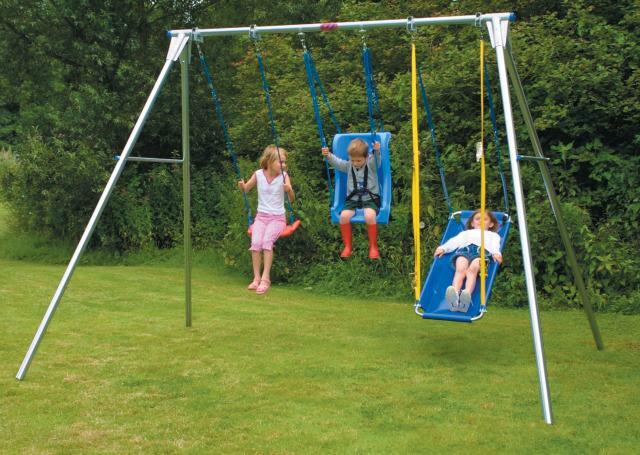 TFH Swing Frames are the highest quality on the market designed for many happy years of swinging. 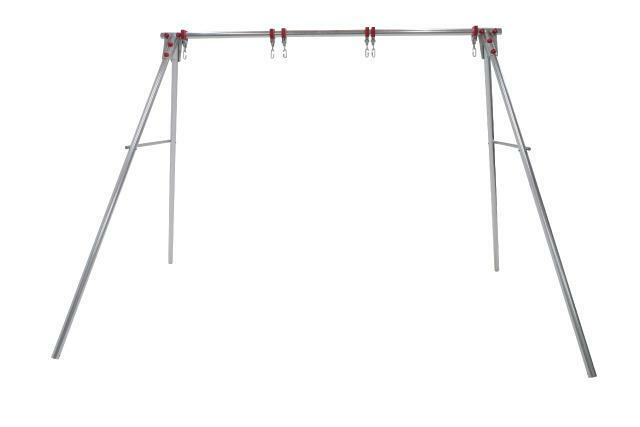 Our frames are made of galvanized steel with nylon swing bearings. For more information, please see below. Our swing frames are made from 2" o/d galvanized steel with nylon swing bearings. The wide splay of the legs and the twisted stakes give unit maximum stability. Weight Limit: 140 lb per suspension point. Top Bar Weight Limit: 260 lb. Dimensions: H: 91" x W: 130" x D: 97" Need a minimum of a 9' ceiling to use indoors. Use Indoor Swing Frame Feet (set of 4) 8SWRLF for swinging indoors. Price includes the Frame only. Truck Shipment - Loading dock or Liftgate/Inside Delivery necessary to receive shipment. Call for shipping quote 800-467-6222. Dimensions: H: 91" x W: 130" x D: 97"
Sturdy frame, took 3/4 of day to put up as single person. Straightforward instructions. Good purchase and value for money.